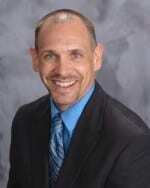 Dr. Jason began working with us to help him solve a few interesting challenges in his practice. Specifically, his volume was good (better than the average DC) but he felt collections were way too low (I agreed) and he felt like he was working too hard for the money he was making. In other words, he definitely didn’t feel like he was working smarter — just harder. And after 17 years in chiropractic, Jason felt like his business could be doing better. When we began to analyze the situation, several problems emerged. Jason’s dollar per visit average was way too low. He admitted that this was due to a large number of Medicare and Medicaid patients in his practice. In his heart, Jason wanted to offer all his patients a full range of his services, but he felt that his Medicare and Medicaid patients couldn’t afford his services and that their insurance wouldn’t cover them anyway. So he felt a little stuck. 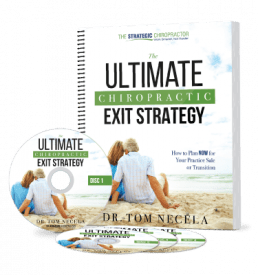 “My wife informed me of Dr. Tom’s webinars and I really liked them with great information, but I thought I could change my clinic around just by his webinars. I was wrong!! I would do somethings for a while then go right back to the old comfortable ways and be right back where I started. We developed Jason’s procedures to be able to offer additional services (in his case, massage and rehab) to his non-Medicare patients in an easy, non-salesy way. We focused on gaining momentum strictly to those patients for “Phase 1” of our plan. In other words, we didn’t worry about Medicare as it was just blinding him for all the other untapped potential he had in his business. 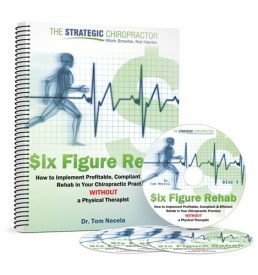 In just over two months, with the help of the new protocols Dr. Tom installed in my practice my clinic is booming! Our collections are up nearly 40% — which is incredible! Even better, patient visit numbers are only up slightly (so I’m not working harder) but our collections per visit average went up tremendously! Best of all, it wasn’t as hard as I thought, because with just a few changes it made a HUGE difference in my clinic and most of all ME. I would strongly recommend anybody to Dr.Tom who wants to change for the better without having to change everything. Thanks Dr. Tom I can’t wait to see how high I fly in the coming year!! Just so you can grasp this, we are talking about an increase of more than $12 per visit in COLLECTIONS! Do the math in your office. Let’s say you are the “average” chiropractor seeing approx 100 visits per week. An increase of $12 per visit would translate into an increase of over $60,000 in one year!! And, in Jason’s case, that was the result of one simple strategy and focus. For Jason and for you, there’s a lot more in store. But it all starts with taking action.